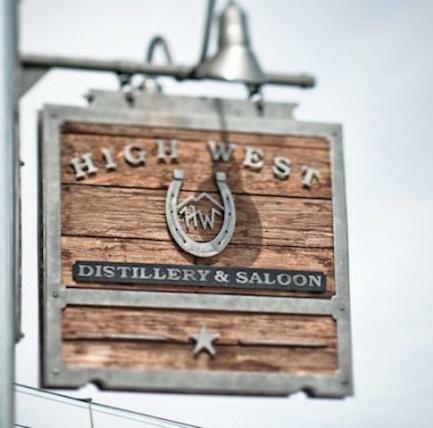 High West Distillery was founded in 2009 by David Perkins and his wife, Jane. David, a former biochemist, was inspired to open his own distillery after seeing the parallels between the fermentation and distilling process and his own work in biochemistry during a trip to the Maker's Mark Distillery in Loretto, Kentucky. In 2009, David and his family relocated to Park City, Utah to open the first legal distillery in Utah since 1870. They chose Park City because of David's love of the Old West and Utah's little-known whiskey history (see Utah's Distilling History for more). High West began with humble roots, opening a small, 250-gallon still and Saloon in an historic livery stable and garage. What was once a small operation in downtown Park City has grown to be an internationally-recognized brand with four unique locations. In 2015, High West opened their distillery in Wanship, Utah, which acts as a space for educational whiskey tasting, pairings and tours, and houses a 1600-gallon copper pot still. Meanwhile, the Saloon continues to operate as a must-visit gastro-distillery, featuring alpine-inspired western fare alongside the original still, the Nelson Cottage offers unique whiskey-paired dinners, and the Saloon at the Salt Lake City airport allows for some last tastes of High West on the way out of town. High West's products? have received numerous?accolades and awards. In 2011,?Whiskey Advocate,?America's leading whiskey magazine, named High West its "Whiskey Pioneer of the Year."? We love to show off our traditional 1,600-gallon copper pot still and share the wonders of whiskey with our guests. Swing by the new distillery to take an educational whiskey tour and if you're feeling adventurous, a whiskey tasting as well. Call 435-649-8300 or visit the Tours Page to schedule your tour at our truly unique distillery in the mountains.? Malt Advocate 90" Bourye's unique blend features three whiskies. It is clean, crisp and quite vibrant, starting out more like a high rye-content bourbon. On the latter half of the palate, the rye note really kicks in. Sip straight or with a little water. Not recommended with ice. "